We only use high grown Ceylon tea from estates more than 5500 feet above sea level; We only use natural flavors, giving a clean true taste with no chemical aftertaste - Hot tea brewing method: Bring freshly drawn cold water to a rolling boil. Place 1 teaspoon of tea for each cup into the teapot. Pour the boiling water into the teapot. Cover and let steep for 3-7 minutes according to taste (the longer the steeping time the stronger the tea). Even th - Buttered Rum Tea (Loose) (8 oz, ZIN: 426943): The full astringent taste of rum mellowed with a creamy smoothness. 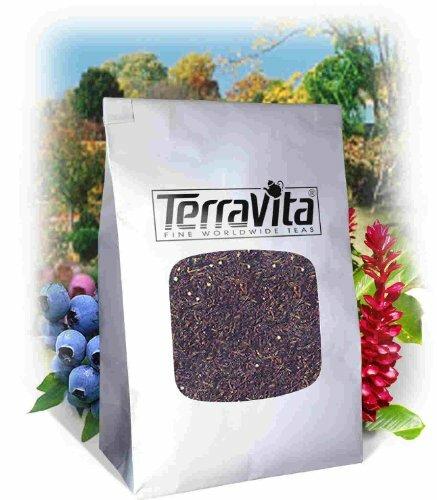 - Please note that this tea contains only black tea and natural flavors. This tea does not contain any alcohol. If you have any questions about this product by TerraVita, contact us by completing and submitting the form below. If you are looking for a specif part number, please include it with your message.